Please see the links to his pictures and videos further down. Where you could stay and how you could get there! 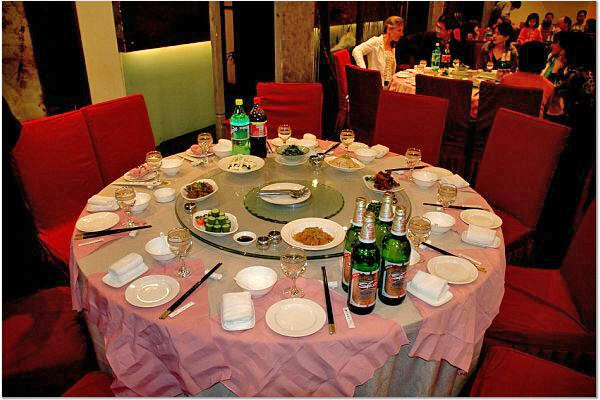 Or, if you wished to prepare your journey yourself, Rui Di was suggested as an unexpensive place in the center of Hangzhou (Tel. 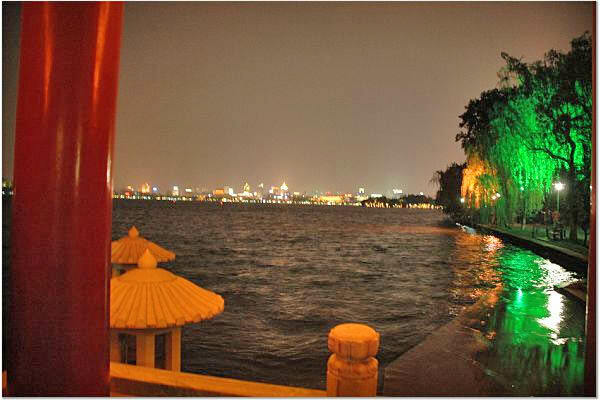 +86 571 567 29000), or Dahua, west of the lake (Tel. 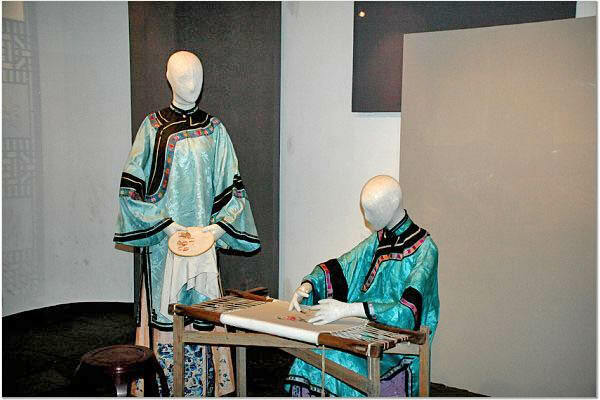 +86 571 8718 1888). Comment: HumanDHS has two annual meetings, one outside the U.S., and the other in New York, at Columbia University. The outside-of-the-U.S. meeting is usually rather informal and geared towards group-building, with a lot of Open Space sessions, while our NY meeting is more formal and academical. 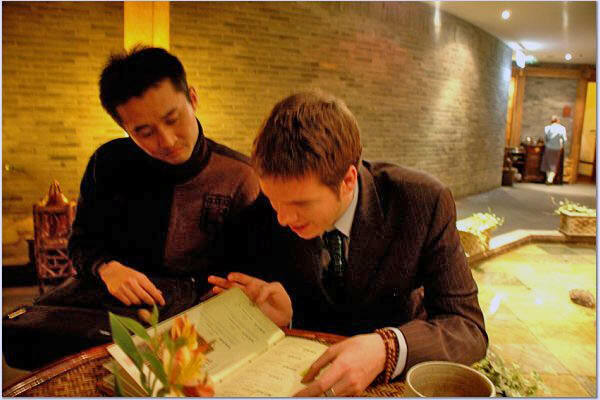 In our China meeting we wished to pursue a third objective, namely meeting like-minded people in China. The West has a relationship with China that is almost only played out in the economic sphere, while what seems to lag behind is an attempt to enter into a deeper dialogue both in academia and culturally in general. For example, famous Chinese philosophers and writers such as Lu Xun, who wrote about humiliation and its destructive effects, are rather unknown in the West. 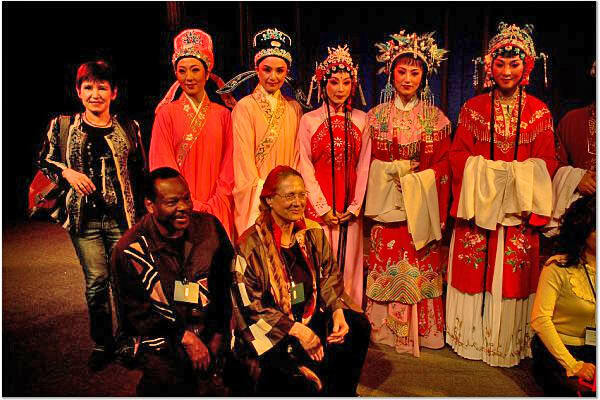 Particularly the Multicultural Discourses Conference, that aims at "giving voice to the voiceless," could give voice to such Chinese thinkers, and introduce them into a larger global dialogue. 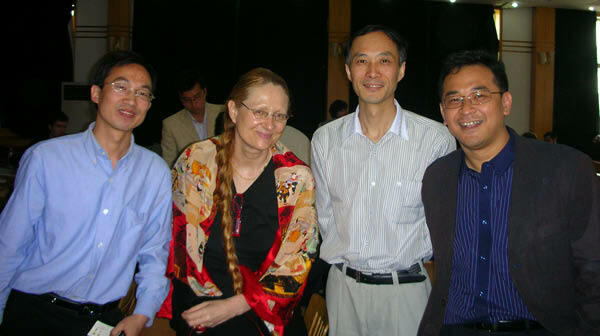 Professor Jianhong Ma is the Vice-Head of the School of Psychology and Behavioral Sciences at Zhejiang University, Hangzhou, Zhejiang, China, furthermore the Executive Director of the Center for Human Resources and Strategic Development Studies, and the Deputy Director of the Institute of Applied Psychology at Zhejiang University. 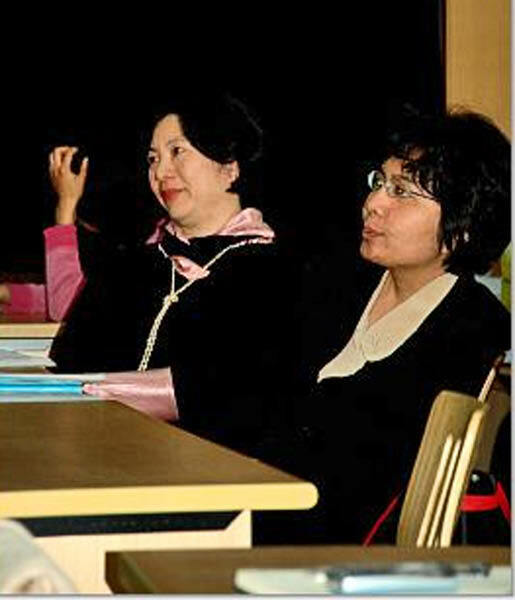 Professor Ma, together with Professor Tjitra, convened the Interactive Workshop on "Collaborative Learning Environment Characterised by Mutual Respect" at the Department of Applied Psychology on 17th April 2007. 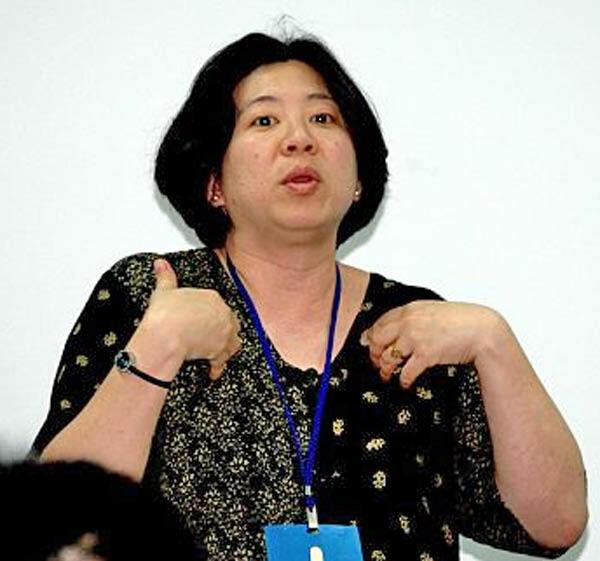 Professor Hora Tjitra is Professor of Psychology at the School of Psychology, Department of Applied Psychology, Zhejiang University, Hangzhou, China. 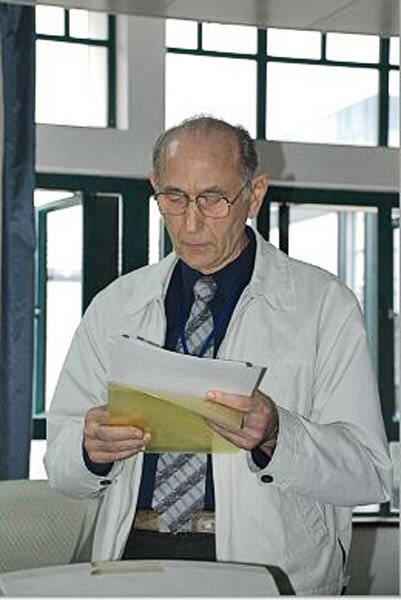 Professor Tjitra convened the Interactive Workshop on "Collaborative Learning Environment Characterised by Mutual Respect" at the Department of Applied Psychology on 17th April 2007. 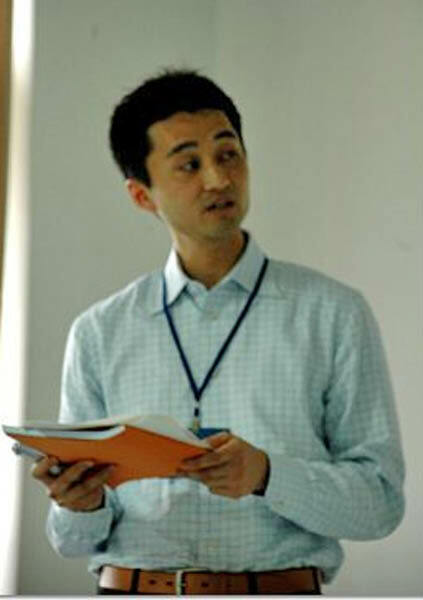 Quan He is a Ph.D. candidate in psychology at Zhejiang University, School of Psychology and Behavioral Sciences in the Program 'Complex Problem Solving.' 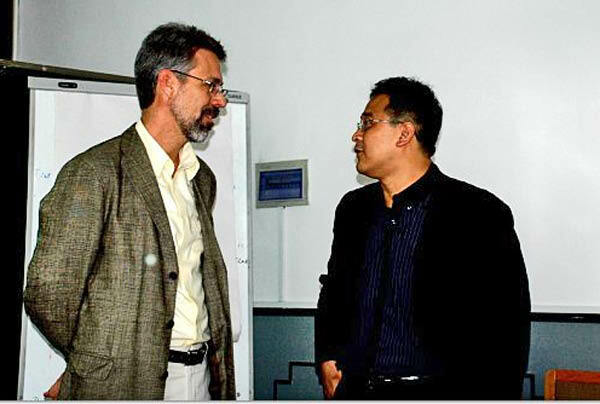 Quan He, together with Professor Tjitra, convened the Interactive Workshop on "Collaborative Learning Environment Characterised by Mutual Respect" at the Department of Applied Psychology on 17th April 2007. 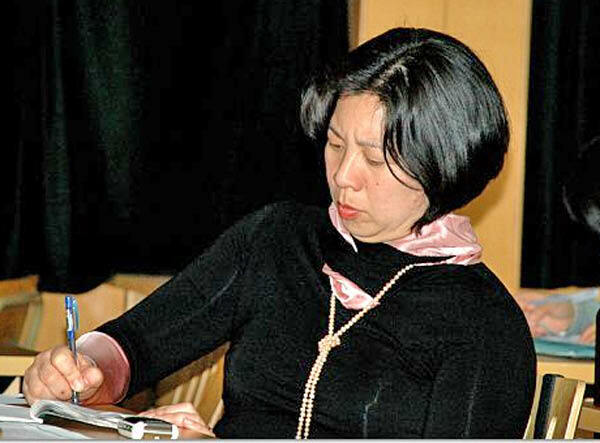 Professor Shi-xu is the Director of the Institute of Discourse and Cultural Studies, Zhejiang University, in Hangzhou, China. 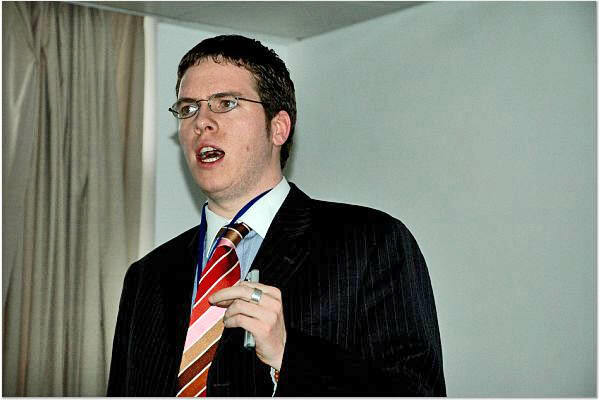 He has been a Research Fellow at the University of Amsterdam, Lecturer at the National University of Singapore, and Reader at the University of Ulster. 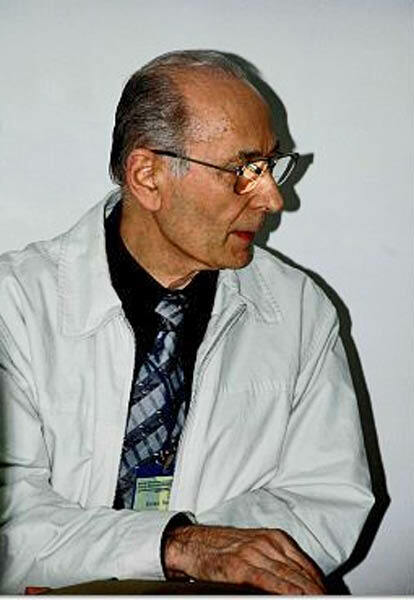 He is the author of Cultural Representations: Analysing Discourses about the Other, of A Cultural Approach to Discourse (Basingstoke, Palgrave, 2004), and he co-edited Read the Cultural Other (Berlin, New York: Mouton de Gruyter, 2005). 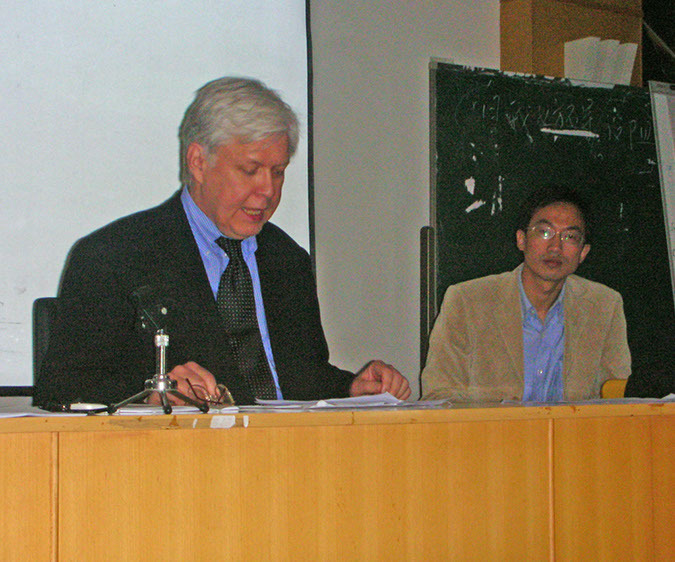 Professor Shi-xu was the convener of the "Second International Conference on Multicultural Discourses" on 13-15th April 2007. 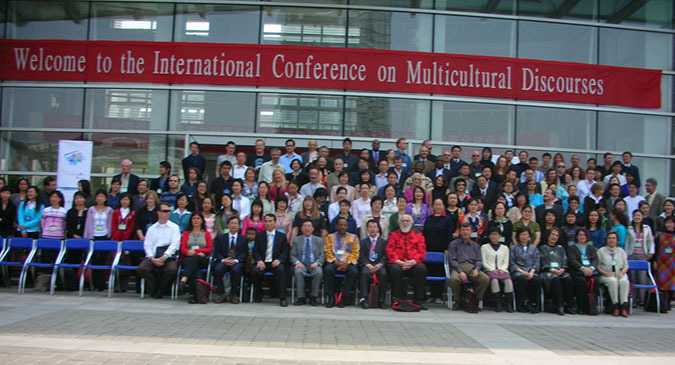 200 overseas scholars and 100 domestic scholars were taking part in the Second International Conference on Multicultural Discourses. 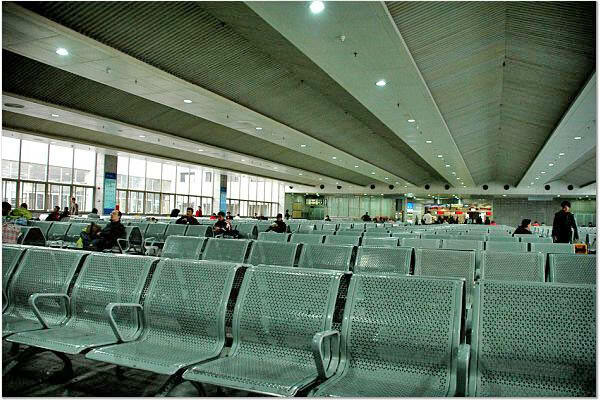 Everybody was expected to participate actively (invitations and visas were extended to those whose papers had been accepted). 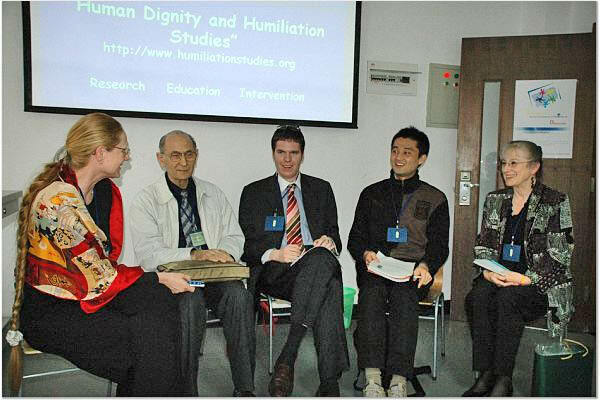 The HumanDHS network participated in the Second International Conference on Multicultural Discourses at the Institute of Discourse and Cultural Studies on the New Campus of Zhejiang University (13-15th April 2007), with the panel "Giving Voice to the Humiliated" (on 14th April). These pictures of our panel "Giving Voice to the Humiliated" (on 14th April) come from Brian Lynch's camera. Please see here the videos of the entire meeting by Brian Lynch. 1. concepts and theories of language/communication/discourse outside the Western mainstream as well as the related research and teaching traditions: Humiliation is regarded in Western "Realpolitik" as "soft" factor, as opposed to "hard factors" that receive more weight; HumanDHS suggests that old concepts of Realpolitik need to be changed, since the phenomenon of humiliation can render violence that indeed represents a "hard factor"
"Giving Voice to the Humiliated"
Paper prepared for the Second International Conference on Multicultural Discourses, 13-15th April 2007, Institute of Discourse and Cultural Studies, & Department of Applied Psychology, Zhejiang University, Hangzhou, China. Abstract prepared for the Second International Conference on Multicultural Discourses, 13-15th April 2007, Institute of Discourse and Cultural Studies, & Department of Applied Psychology, Zhejiang University, Hangzhou, China. 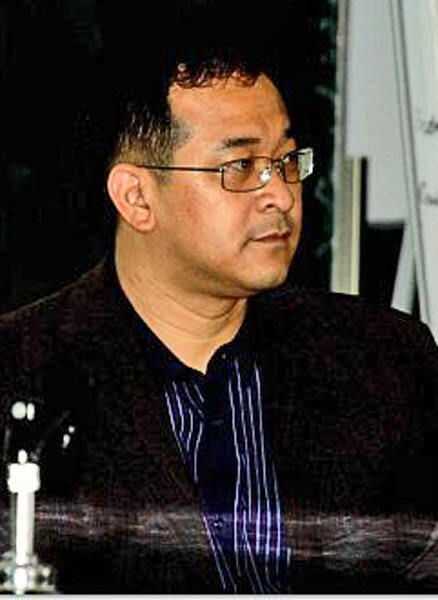 Reimon Bachika, Professor of Sociology, Department of Sociology, Bukkyo University, Kyoto, Japan. Please see here the video of his talk. 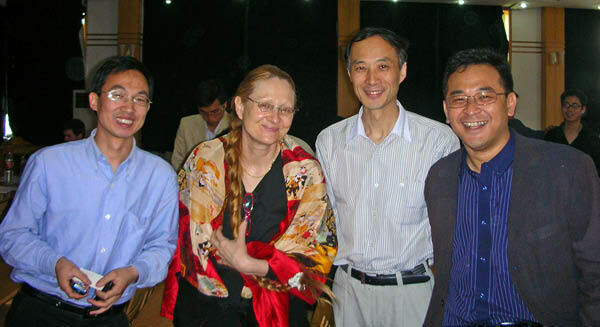 Jacqueline Howell Wasilewski, Professor of Intercultural Communication at the Division of International Studies at the International Christian University (ICU) in Tokyo, Japan. Please see here the video of her talk. 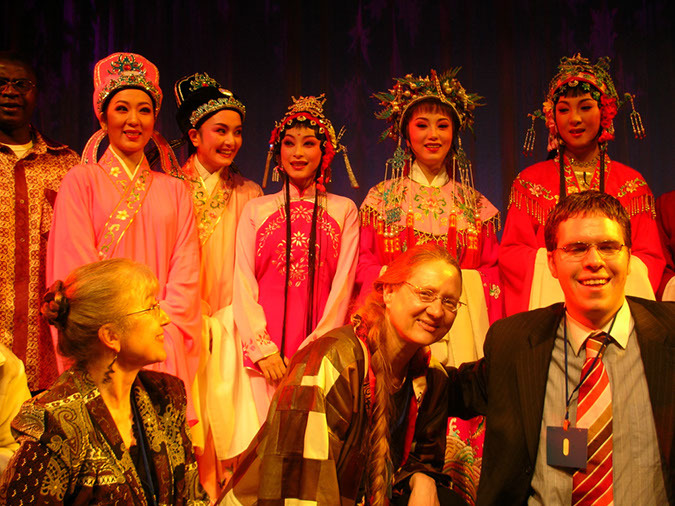 Steve Kulich, Professor and Director of the Intercultural Program and IC Studies Center, The Graduate School, Shanghai International Studies University. 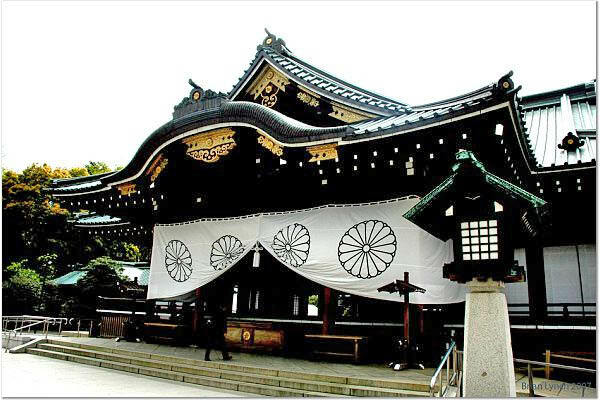 Director and Coordinator of the HumanDHS Japan for Equal Dignity (JapanED) project, and working with the Kaminokawa-machi board of education as a member of the Japan Exchange and Teaching Program (JET Program). 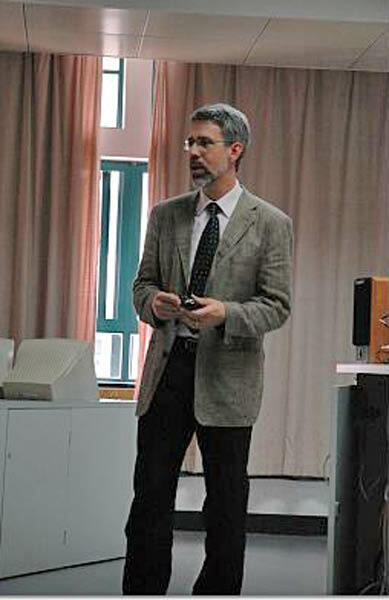 Neil Ryan Walsh, Director and Coordinator of the HumanDHS Japan for Equal Dignity (JapanED) project, and working with the Kaminokawa-machi board of education as a member of the Japan Exchange and Teaching Program (JET Program). 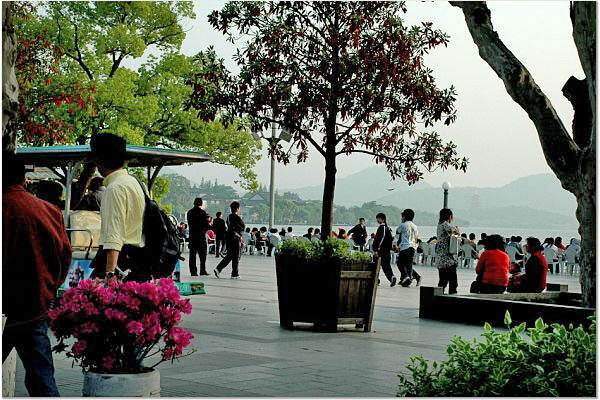 Applied Psychology, Zhejiang University, Hangzhou, China. Keitaro Morita, Doctor of Business Administration Student, Network and Social Organization, Graduate School of Social Design Studies, St. Paul's (Rikkyo) University in Tokyo, Japan. Lynn King, founder of SageVISION, dedicated to "growing green leaders who support innovation for the greater good." Victor Garza, a Mexican interculturalist mostly working in the business sector. Abstract prepared for the Second International Conference on Multicultural Discourses, 13-15th April 2007, Institute of Discourse and Cultural Studies, & Department of Applied Psychology, Zhejiang University, Hangzhou, China, as part of the 9th Annual Meeting of Human Dignity and Humiliation Studies. 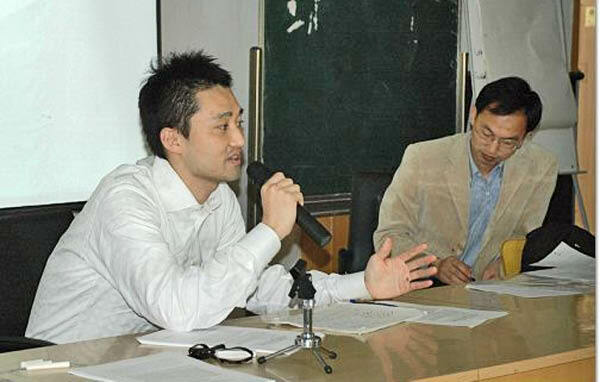 Zheng Wei, doctoral student of Jacqueline Wasilewski at ICU, Japan, doing his doctorate on Chinese-Japanese interpersonal communication from the late Ching Dynasty to the mid 1930s. Former Director (Research), National Centre for Rural Development & Municipal Administration, Ministry of Local Government & Rural Development, Pakistan. Working on the conflicts in Kashmir and Chechnya. Currently she is associated with University of Jammu in the Centre for Strategic and Regional Studies. 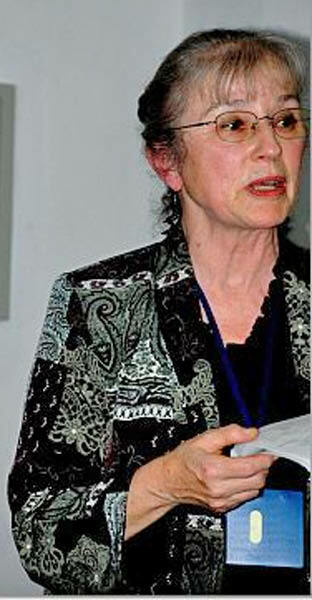 Judy Kuriansky, Ph.D., international clinical psychologist and journalist, Adjunct faculty Columbia University Teachers College, Media advisor to Peace Psychology Division of the American Psychological Association, and United Nations representative of the International Association of Applied Psychology. 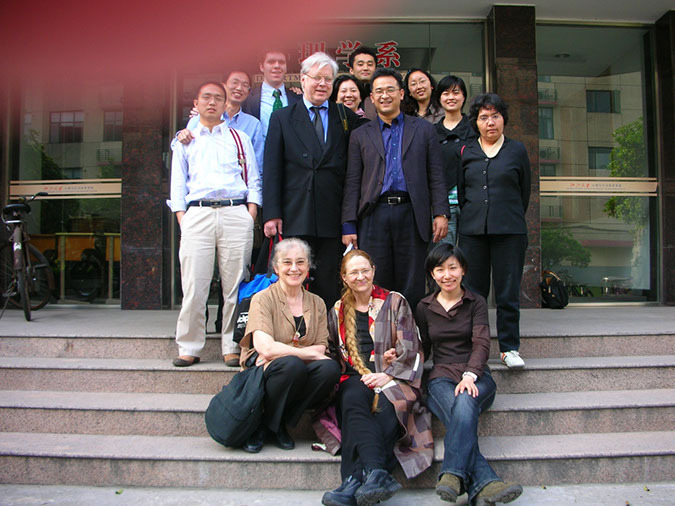 Judy is a Member of the HumanDHS Global Advisory Board. Working on the conflicts in Kashmir and Chechnya. 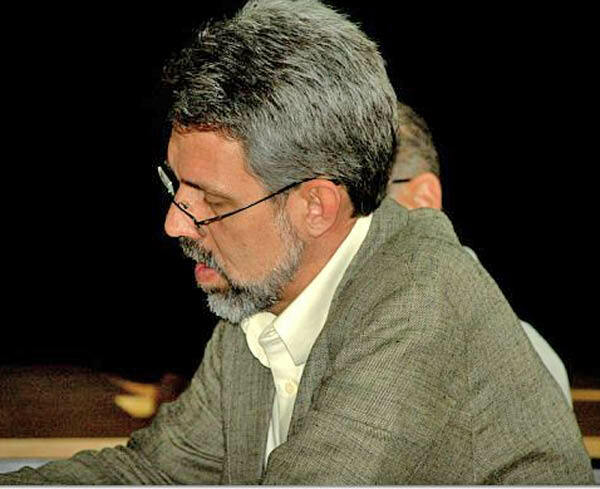 Currently he is associated with University of Jammu in the Centre for Strategic and Regional Studies. Florina Benoit, Doctoral Student in Social Work on the quality of life of Sri Lankan Tamil refugees living in camps in Tamil Nadu. Rev. Fr. Ashok Gladston Xavier, PhD., Former Principal, Loyola College, Chennai, India. 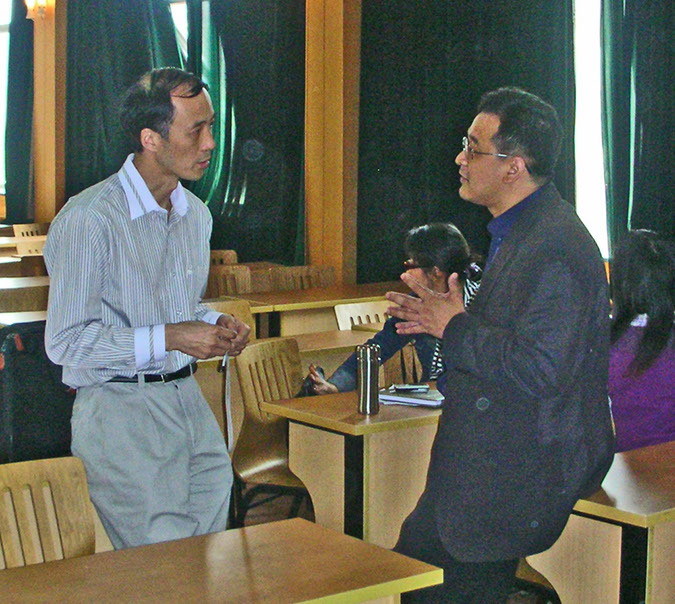 Together with Professors Jianhong Ma and Hora Tjitra, at the Department of Applied Psychology on the Xixi Campus of Zheijiang University, we had the Interactive Workshop on "Collaborative Learning Environment Characterised by Mutual Respect" (on 16th April 2007). Interactive Workshop on "Collaborative Learning Environment Characterised by Mutual Respect"
Please see the videos of the entire meeting by Brian Lynch. 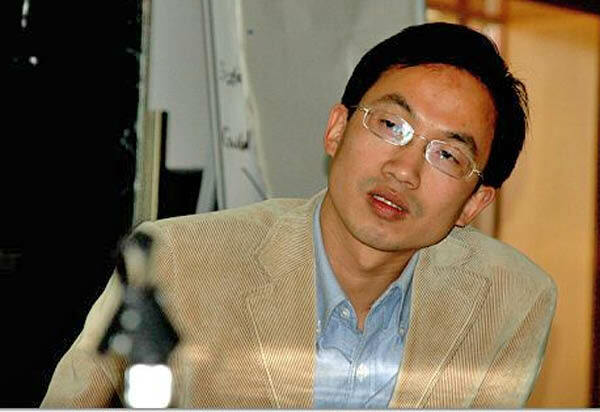 Jianhong Ma, Vice-head, School of Psychology and Behavioral Sciences, Zhejiang University, Executive Director, Center for Human Resources and Strategic Development Studies, Deputy Director, Institute of Applied Psychology, Zhejiang University, Hangzhou, Zhejiang, China. 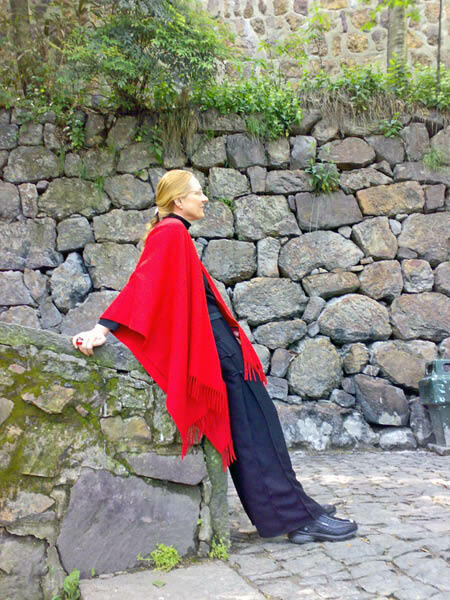  Jacqueline Wasilewski, Professor of Intercultural Communication at the Division of International Studies at the International Christian University (ICU) in Tokyo, Japan. 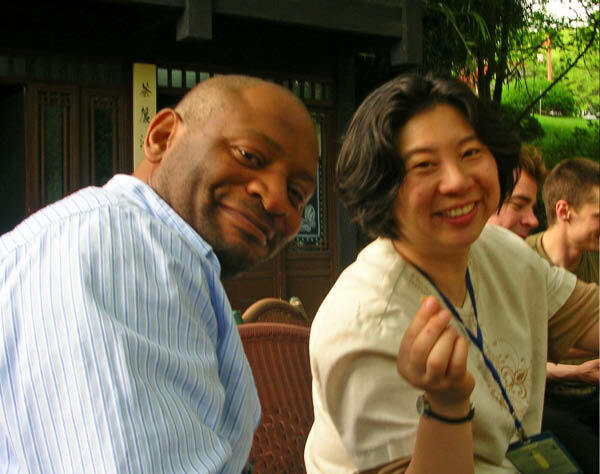 Jackie is a Member of the HumanDHS Global Advisory Board. 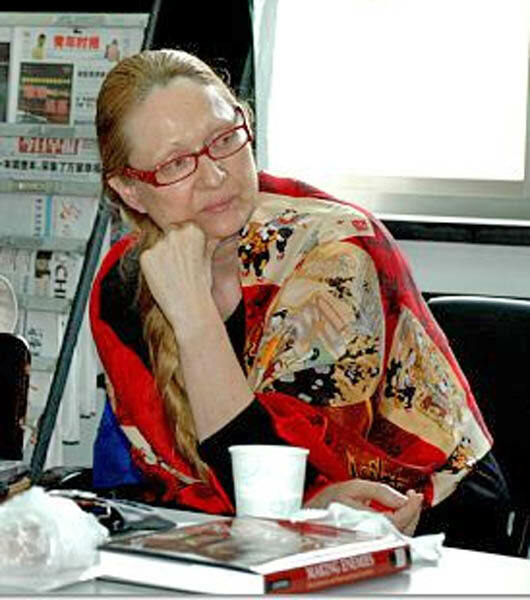 Jacqueline Wasilewski, Professor of Intercultural Communication at the Division of International Studies at the International Christian University (ICU) in Tokyo, Japan. Please see here a video of Jackie's talk. Please see here a video of Steve's talk. 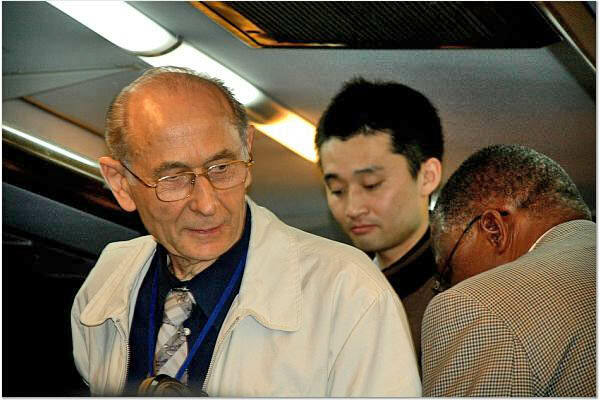 Reimon Bachika, Professor of Sociology, Bukkyo University, Kyoto, Japan. Please see here a video of Reimon's talk. Please see here a video of Neil's talk.  Brian Lynch, M.D., Expert on Silvan S. Tomkins' work on emotions. 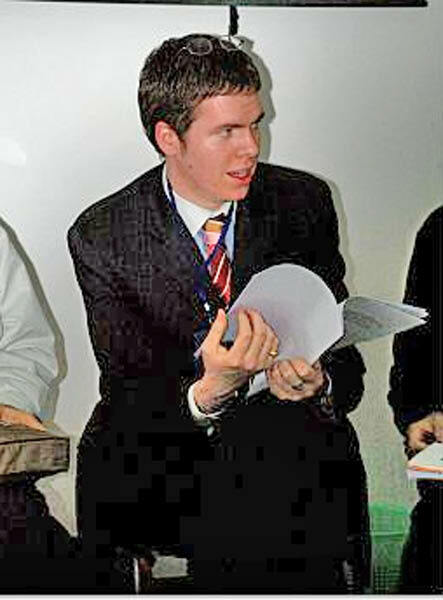 Brian is a Member of the HumanDHS Global Core Team. 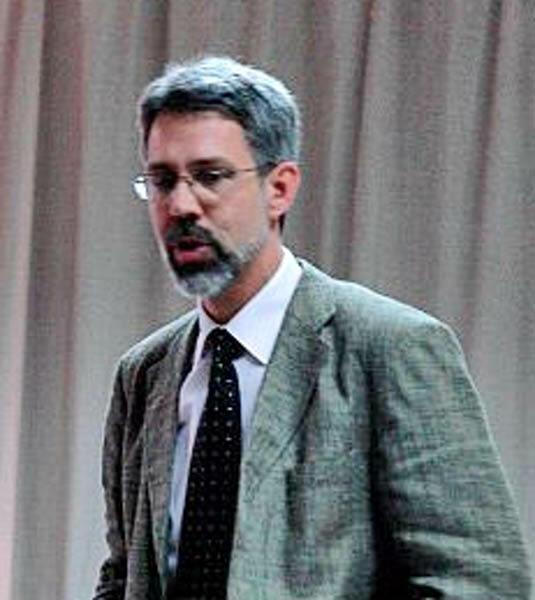 Brian Lynch, M.D., Chicago, USA, expert on Silvan S. Tomkins' work on emotions. Please see here the video of Brian's talk. 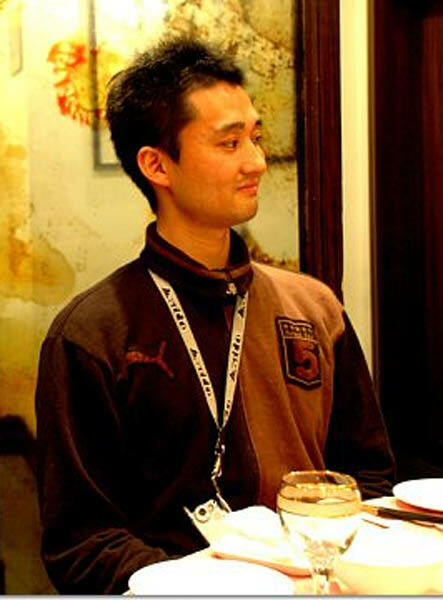 Keitaro is a Member of the HumanDHS Global Core Team. 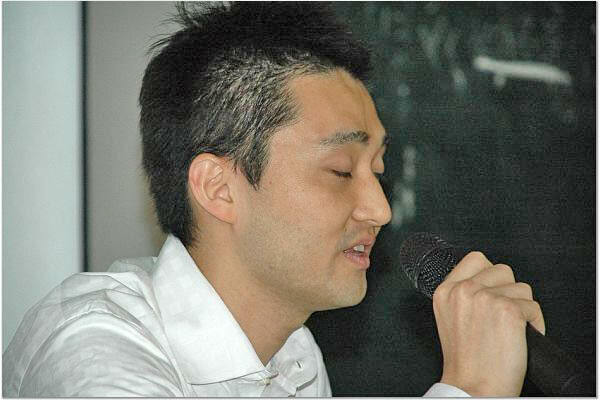 Please see here a video of Keitaro's talk.  Lynn King, founder of SageVISION, dedicated to "growing green leaders who support innovation for the greater good."  Victor Garza, a Mexican interculturalist mostly working in the business sector.  Hana Panggabean, Director of Graduate Studies, Atma Jaya University, Indonesia. 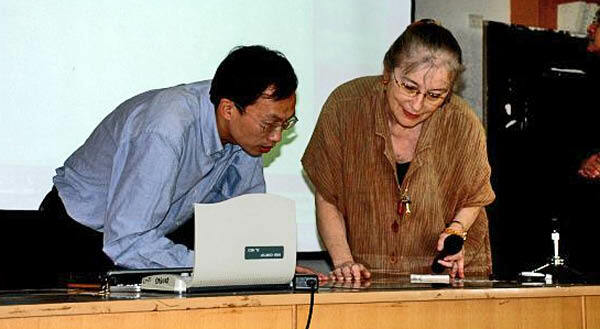  Zhang Xuan (Aggie), Graduate Student at the Institute of Psychology of the Chinese Academy of Science in Beijing. Aggie is a Member of the HumanDHS Global Core Team. 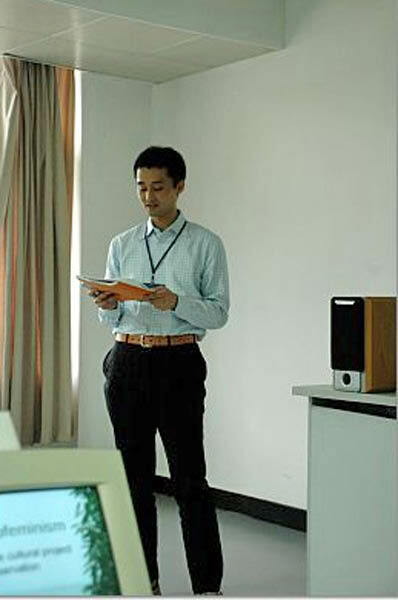  Zheng Wei, doctoral student of Jacqueline Wasilewski at ICU, Japan, doing his doctorate on Chinese-Japanese interpersonal communication from the late Ching Dynasty to the mid 1930s. Which Organizational Structures Optimize Cooperation?  Judy Kuriansky, Ph.D., international clinical psychologist and journalist, Adjunct faculty Columbia University Teachers College, Media advisor to Peace Psychology Division of the American Psychological Association, and United Nations representative of the International Association of Applied Psychology. 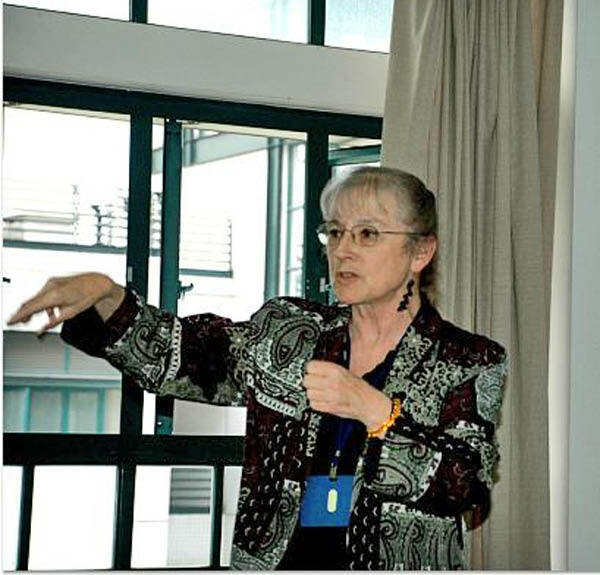 • Linda Hartling, Associate Director of the Jean Baker Miller Training Institute (JBMTI) at the Stone Center, Wellesley Centers for Women at Wellesley College, Wellesley, Massachusetts, USA. Linda is a Member of the HumanDHS Board of Directors and a Member of the HumanDHS Global Advisory Board.  Victoria C. Fontan, Director of Academic Development, and Assistant Professor of Peace and Conflict Studies at the United Nations-mandated University for Peace in San Jose, Costa Rica. Victoria is a Member of the HumanDHS Board of Directors and a Member or the HumanDHS Global Advisory Board. 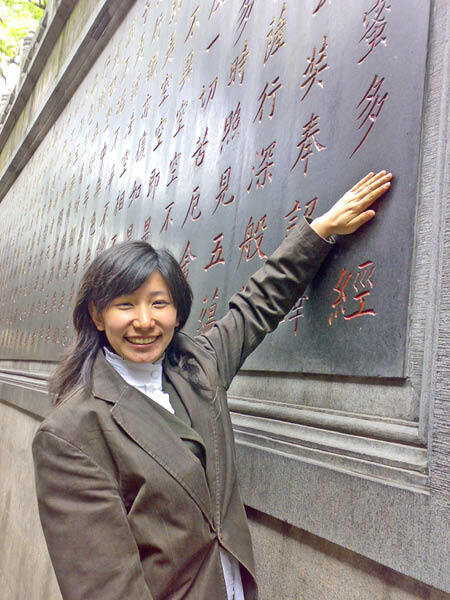  Yuan Liao (Maggie), graduated from Nankai University in Mainland of China, now working on her Mphil research inHong Kong under Prof. Michael Harris Bond's supervision.  Florina Benoit, Doctoral Student in Social Work on the quality of life of Sri Lankan Tamil refugees living in camps in Tamil Nadu. She is a Member of the HumanDHS Research Team.  Rev. Fr. Ashok Gladston Xavier, PhD., Former Principal, Loyola College, Chennai, India. He is a Member of the HumanDHS Research Team.  Heidi von Weltzien Høivik, Executive Vice-President and Dean of Faculty (Prorektor) of the Norwegian School of Management, Oslo, Norway. 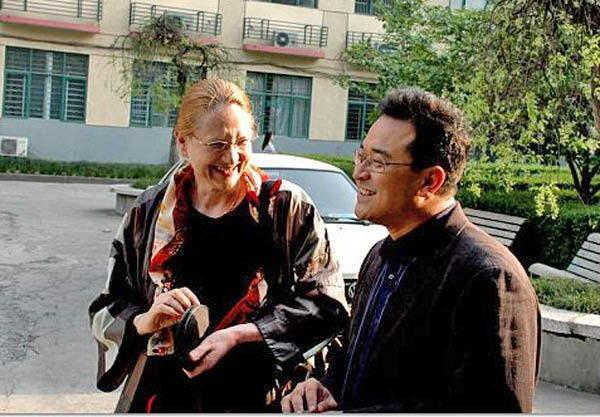 Heidi is a Member of the HumanDHS Global Advisory Board.  Judith Thompson, Ph.D., Frontiers of Social Healing Dialogue, USA. 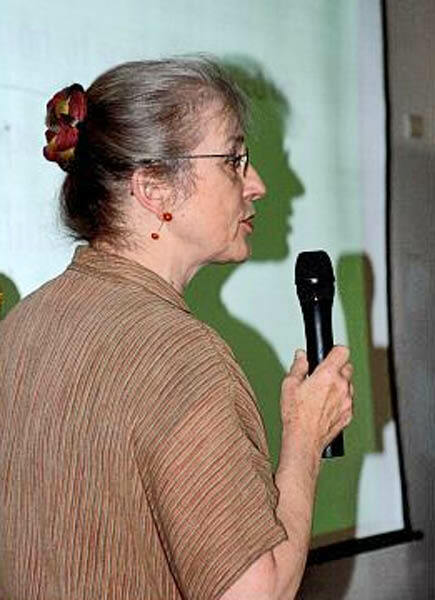 Judith is a Member of the HumanDHS Global Advisory Board.  Rika Kanayama, Ph.D., COE Research Fellow, Japan. 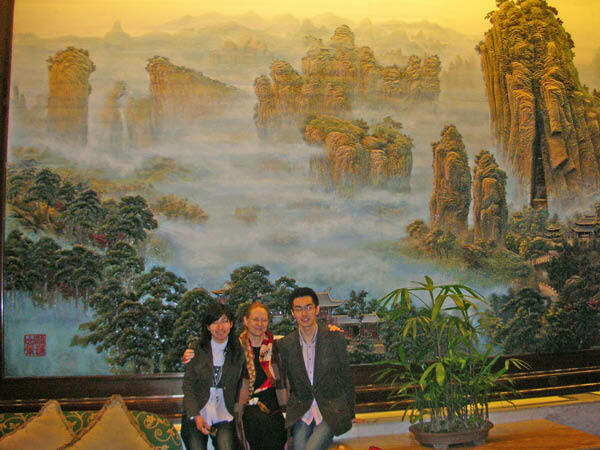 Evelin, Reimon, and Brian stayed at the Friendship Hotel in Hangzhou, overlooking the Westlake. The breakfast restaurant at the 18th floor offered a great view! These pictures come from Brian's camera. Please see these pictures also on his site at http://share.shutterfly.com/. 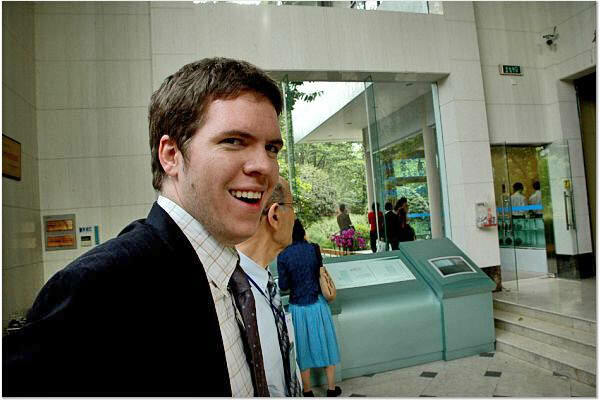 Brian Lynch traveled from Shanghai to Hangzhou on 12th April 2007. 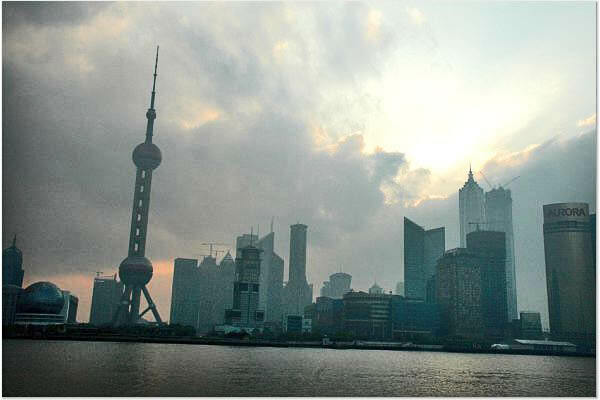 Brian Lynch returned to the USA via Shanghai and then Tokyo. 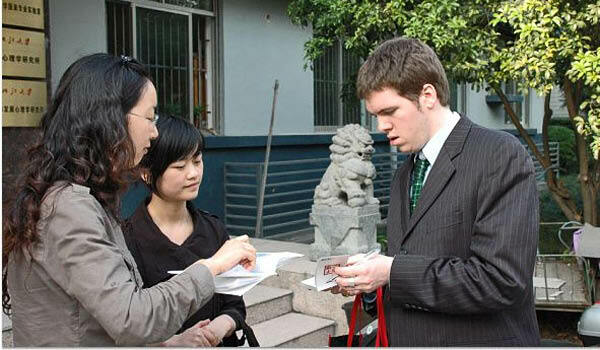 Brian Lynch proceeded from Shanghai to Tokyo on his way to the USA. 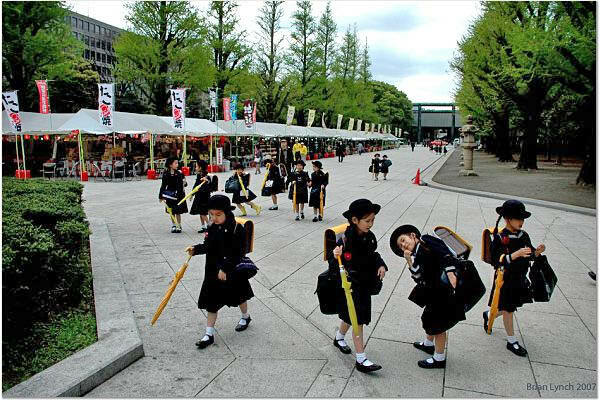 Inspired by Neil Ryan Walsh's presentation on the dynamics of humiliation connected with Yasukuni Shrine, he visited it. 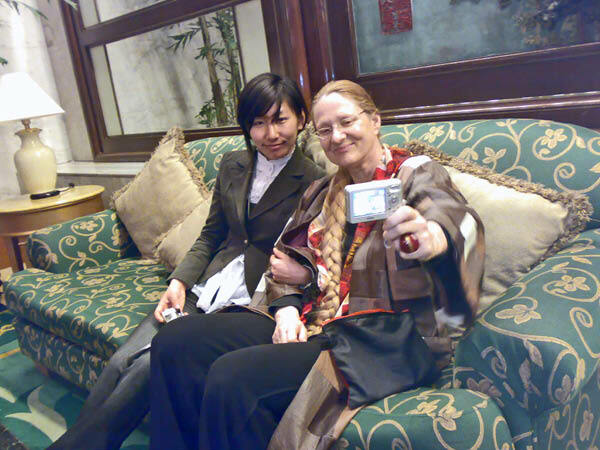 On 17th April 2007, together with Zhang Xuan (Aggie) and her boy-friend Maji, Evelin visited the hotel where she had stayed when she was in Hangzhou for the first time, in 1983. 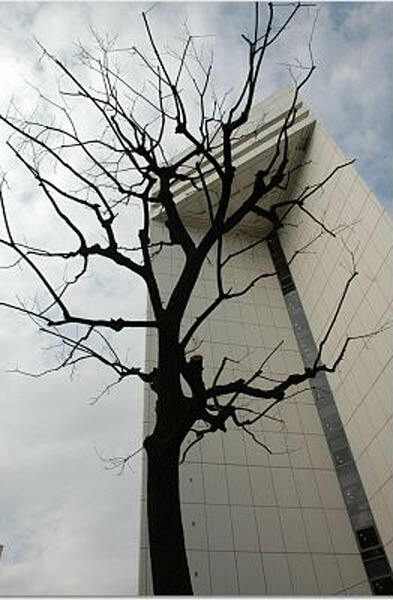 At that time there was only one hotel of significance in Hangzhou, and it was called Hangzhou Hotel. 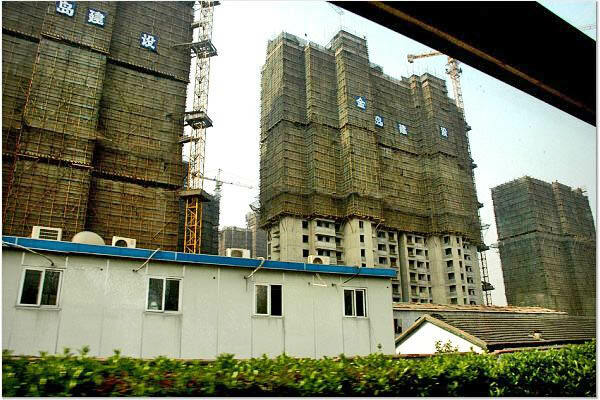 Evelin had stayed in the inexpensive dormitory that was part of Hangzhou Hotel at that time, alongside single and double rooms. 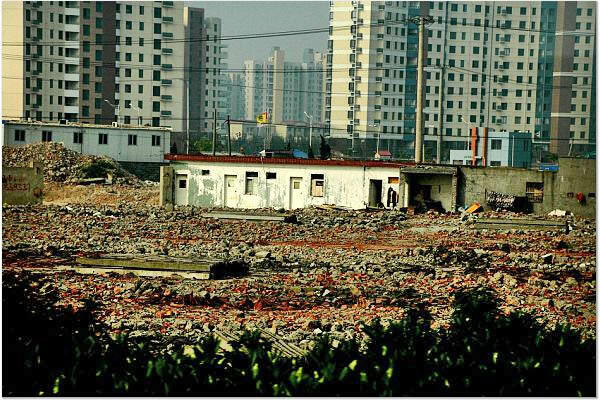 Today, former Hangzhou Hotel has transformed into luxurious Shangri-la Hotel! Please click on the picture on the left side or here to see more photos. 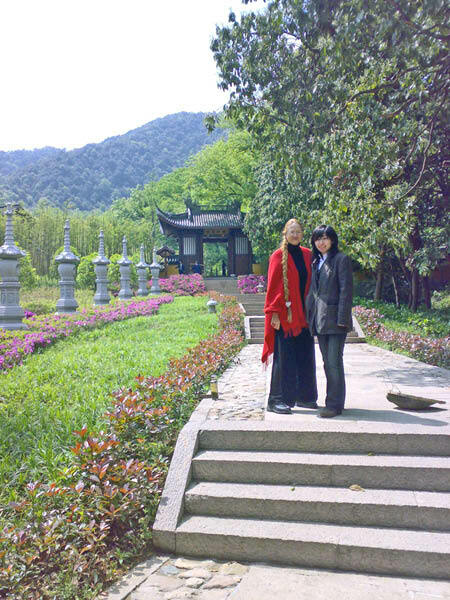 On 18th April 2007, Aggie, Ma Ji, and Evelin visited wonderful Lingyin Temple, the famous Buddhist caves and rock carvings near it, and the mountain behind. 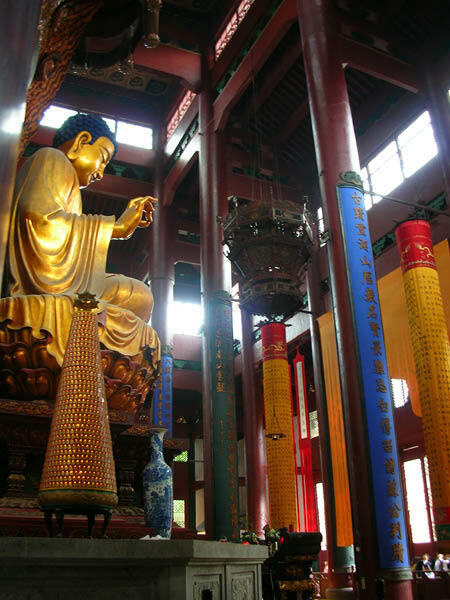 Lingyin temple is one of the largest and wealthiest temples in China, originally founded in 326 AD. Despite some damage inflicted, the temple and grounds escaped destruction during the Cultural Revolution because of the protection of Premier Zhou Enlai. 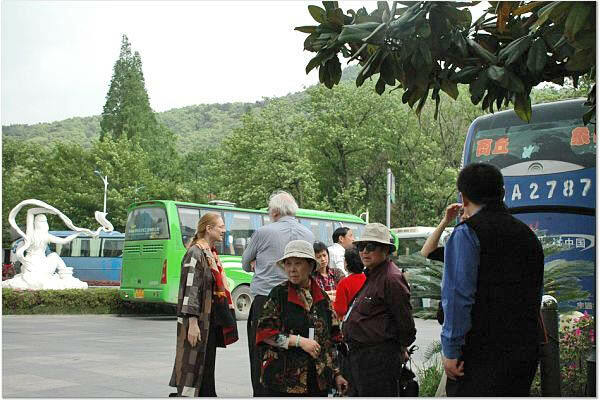 Today the temple is a thriving tourist attraction. Please click on the second picture from the left or here to see more photos. From Lingyin Temple, we wandered off to neighbouring temples. Please click on the third picture from the left or here to see more photos. At the end, we walked up the mountain behind Lingyin Temple, overlooking Hangzhou! Please click on the fourth picture from the left or here to see more photos. These pictures come from Aggie's camera. Please see Evelin's pictures further down. 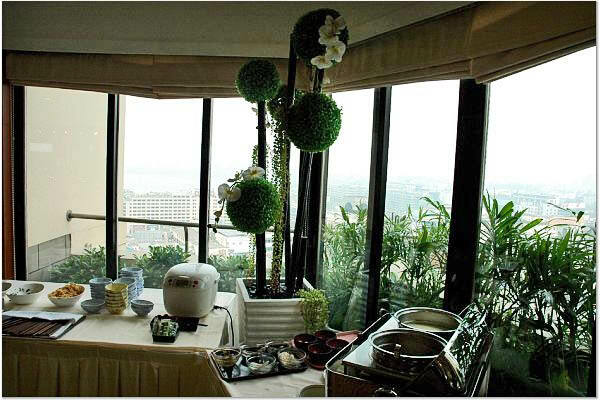 These are Evelin's pictures of the visit to Shangri-La Hotel on 17th April. 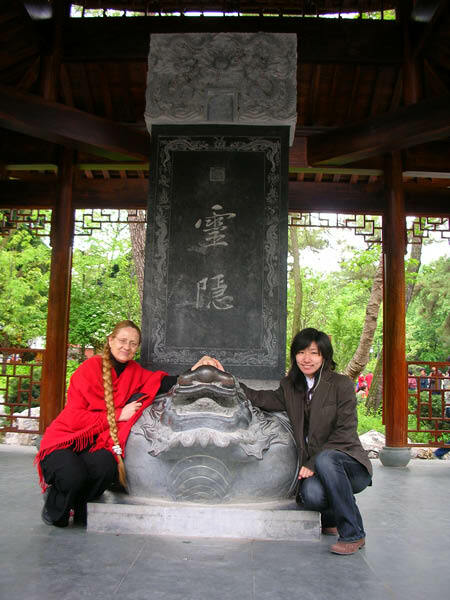 These are Evelin's pictures of the visit to wonderful Lingyin Temple and its vicinity on 18th April. 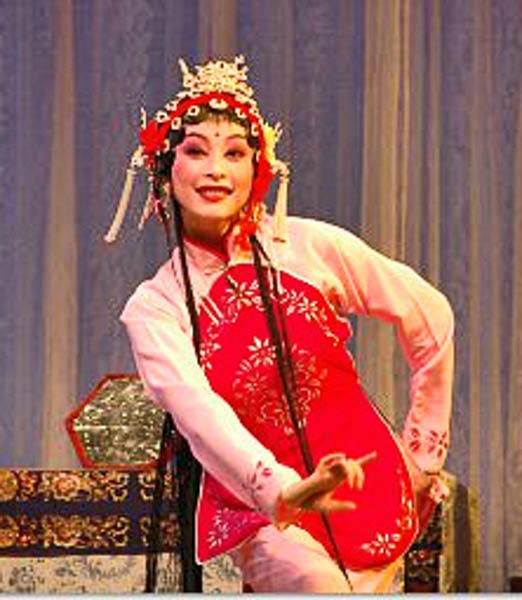  Lynn King (aka Rui-ling King) is the founder of SageVISION, dedicated to "growing green leaders who support innovation for the greater good." She is an intercultural consultant both in the business and NGO sectors, and she is particularly interested in youth leadership development and the development of "healing leader". Thesis submitted in partial fulfillment of the requirements for the degree of Master of Arts, Peace Education. 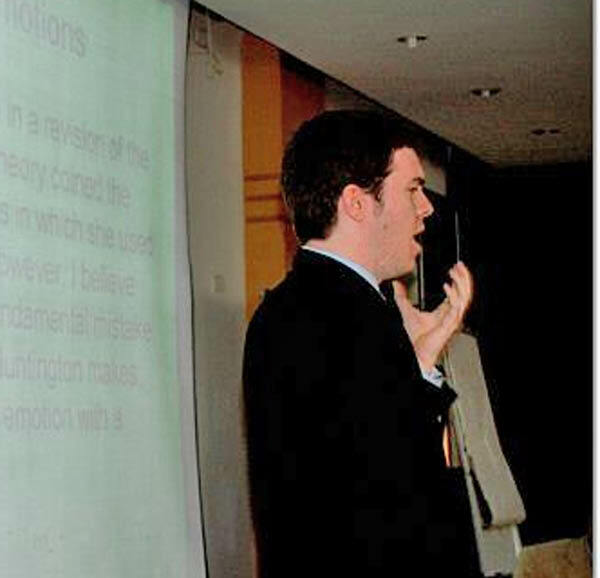 Neil Ryan Walsh is the director and Coordinator of the HumanDHS Japan for Equal Dignity (JapanED) project, and working with the Kaminokawa-machi board of education as a member of the Japan Exchange and Teaching Program (JET Program).